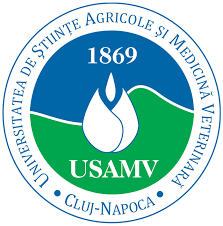 As PhD student at the Department of Agrotechnics, Faculty of Agriculture part of UASMV Cluj-Napoca, Eng. Duda conducts research on the monitoring of soils in the Somesan Plateau regarding the humidity, temperature and the main properties for crop production. Title: Monitoring of the thermic and hydric regime of the Somesan Plateau and technological characterization of lands for the main crops (2014-2016). Investigator: field of interest in technological characterization of soils for maximum primary production potential of different plant species. Studying soils in the Somesan Plateau, Romania and performing data evaluation and processing indicators for the requested database development.